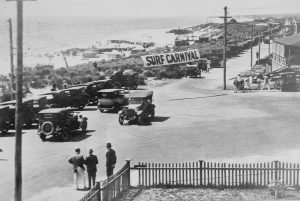 North Cottesloe Surf Life Saving Club, established in 1918, has participated in the history of the Surf Life Saving movement as a whole, sharing in fortunes and misfortunes over the decades. 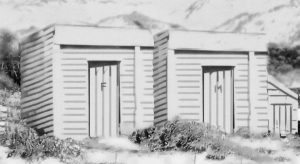 It has a unique story – one firmly grounded in the sandy hinterland of its beach-side home, and in the lives of the people who lived there and joined over the years. The thirty-five members, eighteen men and seventeen women, who formed the Club in the first year have grown to over two thousand. 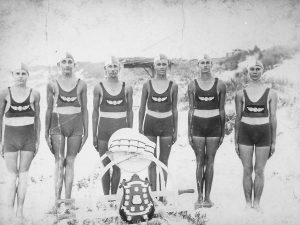 North Cottesloe Surf Life Saving Club has dominated State and National competitions in some periods and been humiliated in others. 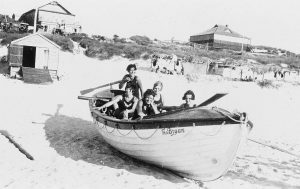 But at every step of the way, the members, the Club’s people made it happen, celebrated victories, had riotous fun and endured long sun-struck days on beach patrol. A history of the Club has been recorded in a Club History Book which is currently available through the Club Office for $35 in the soft cover or $80 in the limited number hard cover. A great coffee table book which many past and present members have enjoyed reading. North Cott member Georgie Barker has produced a summary of the history book which can be downloaded on the pdf at the bottom of this screen. It is an insightful read to see where the club has come from.